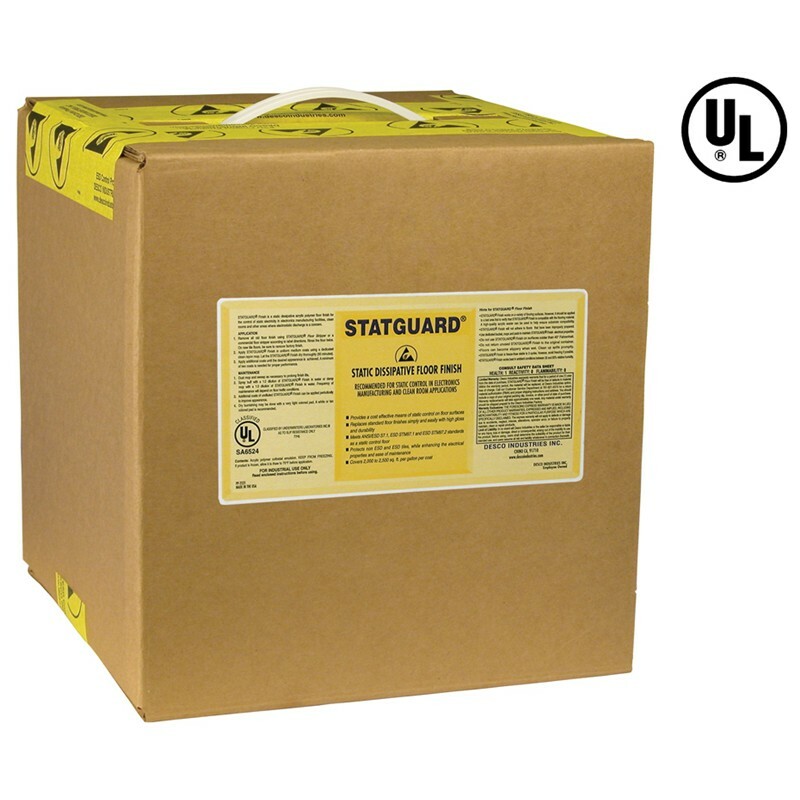 Deal of the Week – 10% Off Statguard® Floor Finish! Check this link weekly for special pricing on overstock items. Discover deep discounts on high quality Charleswater ESD Control Products. Save on your regular stocking orders. Less than 50V charge generation when walking, fulfilling requirements of IEC 61340-5-1. With proper footwear, removes the charge off your body and provides grounding, converting a non-ESD floor to an ESD floor. Meets requirements of IEC 61340-5-1. Use code C101 at checkout. Valid for online orders only. Recently, a company experienced several large losses due to electrostatic discharge (ESD) and had a very unhappy customer on their hands. The manufacturing vice president now faced a substantial expenditure for new ESD loss prevention equipment. The company’s first step had been to hire an ESD consultant who recommended the purchase of several thousands of dollars in ionization equipment and monitoring instruments for several of the company’s facilities. The troubled VP read the report several times looking for justification of the expense. However, the report did not define how the recommended equipment would meet the VP’s specific needs. Other than describing how ionization reduced electrostatic charge after it is generated and that the instruments could confirm that a discharge occurred, the report did not identify the actual cause of the process problem. No ESD measurements were described. There were no details related to cause of product loss, device sensitivity concerns, value issues, process and handling details, examination and description of existing controls, or rationale for how the recommended tools would solve the problem in question. The report was clearly based on the consultant observing the process of a single manufacturing environment. In effect, the report made a purchasing recommendation based on a “blanket” opinion, not on facts specific to the needs of the company or their customer. Such an approach typically makes a bad situation worse. While the recommended tools may have been very useful for investigating a process or for solving defined problems, they are expensive Band Aids“ when used in undefined problem situations. Today’s electronic manufacturing environment demands that minimal ESD controls be in place to provide fundamental protection for electrostatic discharge sensitive (ESDS) devices. When basic ESD controls are employed and losses still occur, manufacturing and quality managers face more difficult problems., In assessing the problem, companies struggle with a variety of major questions concerning a specialized technology, while having minimal information and available skills. To avoid the risk of making the wrong investment decision without solving the initial problem, management needs a way to select and implement the most effective ESD controls that fit their financial situation, solve their specific problems, and provide a respectable return on their investment.